. Published on March 13, 2019 . 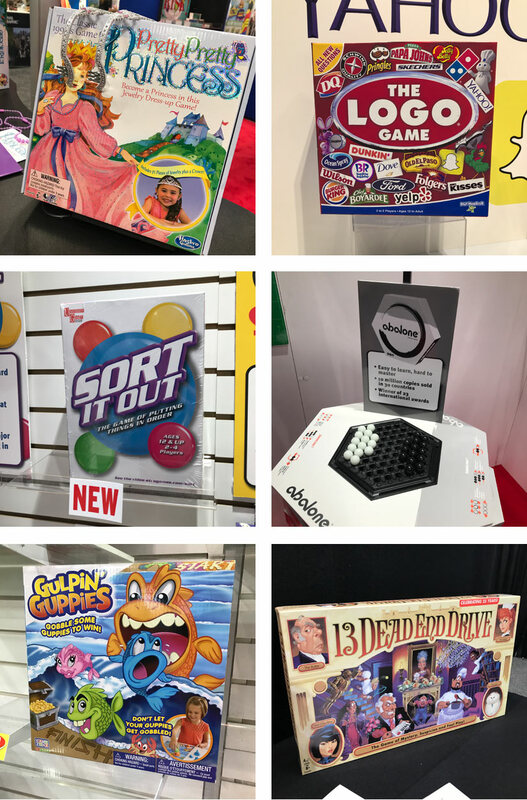 You can read 2019 Toy Fair Trends Part 1 Less Gross and Dirty , Part 2 Survival and Adventure, Part 3 Speed and Observation, and Part 4 Shelf Laughs and Eye-Catching Licenses. Admittedly this worries me slightly, because I feel like the last time I saw a TON of line extensions was right after the economic downturn in ~2008. Sometimes it’s the “safe” bet because your game already has a following and you’re hoping they’re looking for more and you’re likely going to do well with it. Like I’m going to guess that Sushi Roll (part of the Sushi Go!) line, is going to do really well because Sushi Go! and Sushi Go! Party are both awesome games that have a lot of fans. Similarly, I’m sure players are begging for more content for Villainous (especially after it won the TOTY) so now there’s Villainous: Wicked to the Core. But for some of these games it’s been ages since the first one came out, like Lost Cities Rivals (Lost Cities came out in 1999) and Rat-A-Tat Roll (Rat-A-Tat-Cat came out in 1995), so it’s not the obvious choice for a line extension, which makes me less worried and is probably making some long-time game fans super excited! Bringing back old games was a hot trend last year and you can read all about it in my What’s Old is New Again post. This year it isn’t much different, but there have been some notable change of hands, like Upwords is no longer with Hasbro, but is now with Spin Master and they really made it a focal point of their booth (sorry no picture). Also the classic children’s game, Pretty Pretty Princess, is also no longer with Hasbro and now with Winning Moves and The Logo Game is now with Play Monster. Other games are coming back like 13 Dead End Drive — complete with oversized box — is with Winning Moves and it looks awesome! See? Old games never die. Sometimes they go away for a bit and then come back and sometimes they just change companies. The Game Aisle is a participant in the Amazon Services LLC Associates Program, an affiliate advertising program designed to provide a means for sites to earn advertising fees by advertising and linking to Amazon.com. Click highlighted text to buy from Amazon and support The Game Aisle or buy from your local game store and support them. Either way, we’re cool. I only write good reviews about games I like. Sometimes I get a game for free and I will write about it only if I like it. There’s no guarantee I’ll give a game a good review and about 95% of the games I get are donated to a local school, park district, library, or Boys and Girls Club. Spread the love and donate your old games!